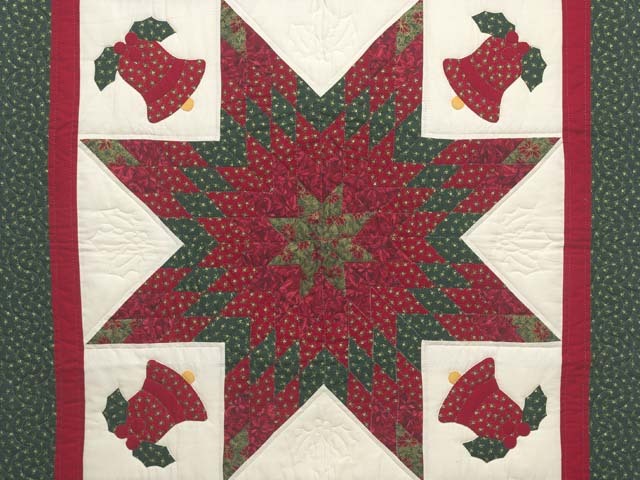 A fantastic quilt for your foyer during the holiday season!! 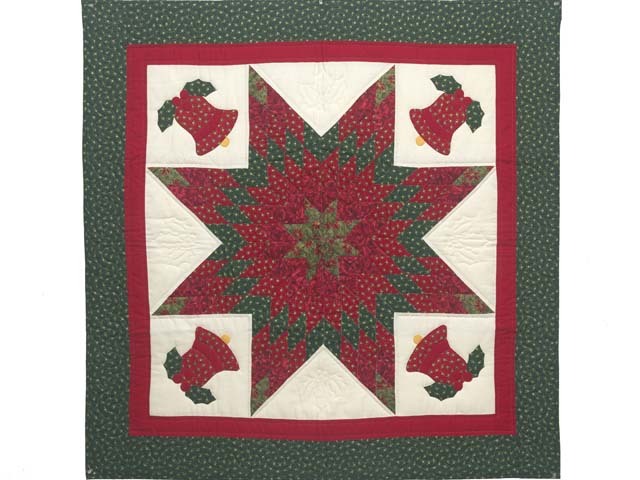 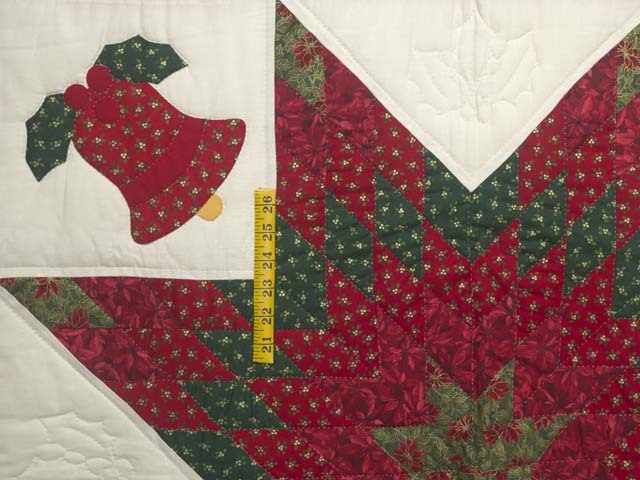 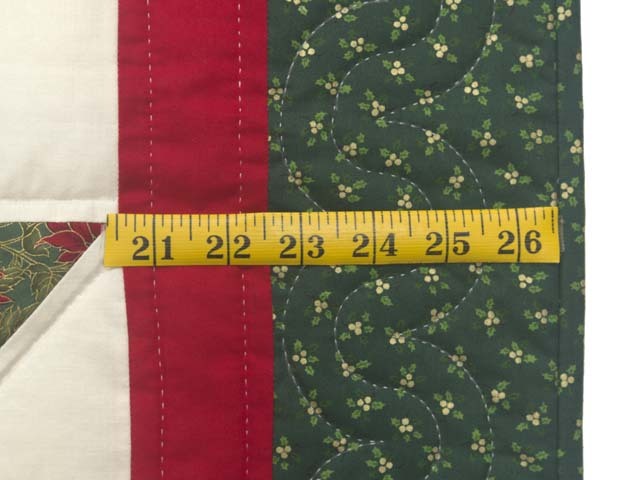 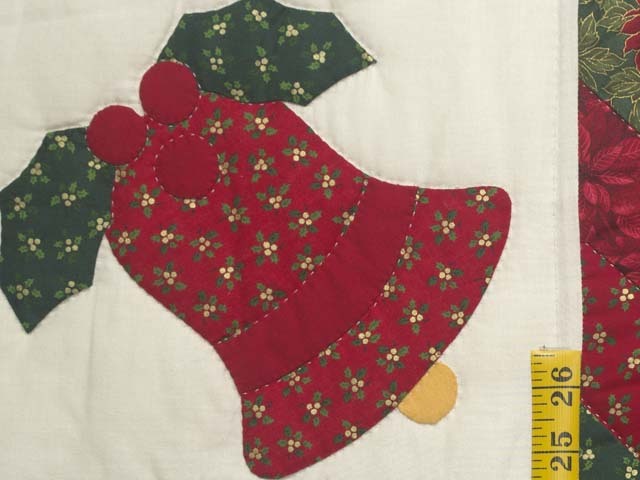 Gorgeous Christmas red and green prints. 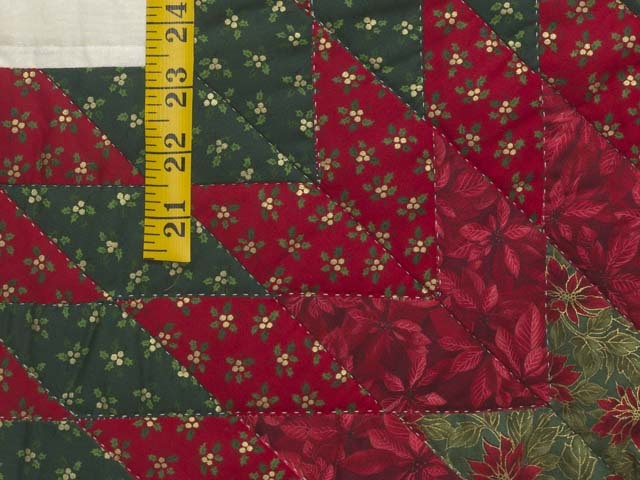 Note mottled sprinkles of red and green on tan background ! 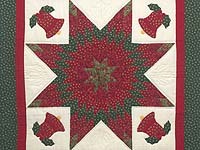 Well made by local Amish woman. 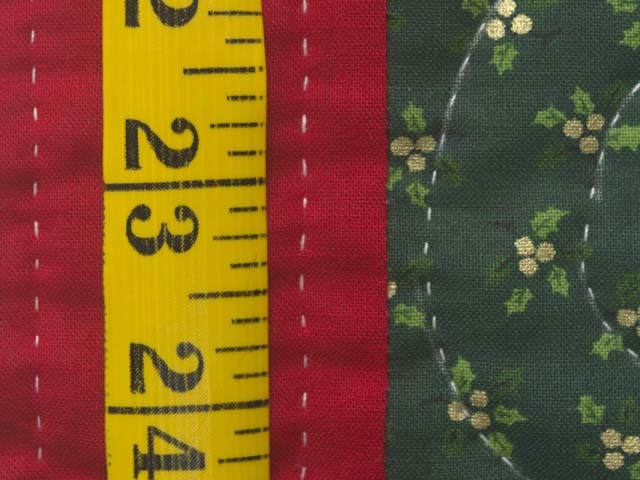 Includes a sleeve for a hanging rod.